Forward is the name of this cinema. It was built by the inhabitants of Erkner, a place near Berlin. 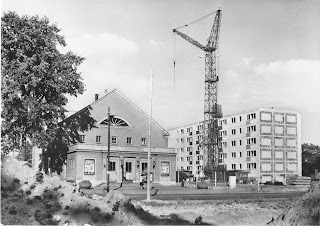 When it was opened in 1957 with 288 seats Erkner had about 8000 inhabitants. The postcard is from about 1970. Isn't it gorgeous to have a newly built flat and a cinema around the corner? 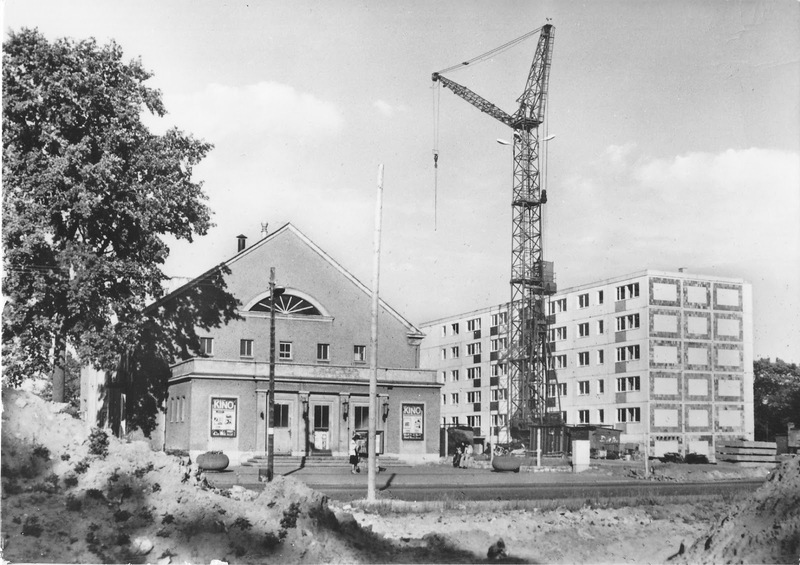 In 1994 the cinema was demolished and a modern one was built. Movieland Erkner opens in 1996 with two halls and 184 seats at all and still plays.